NEW PALTZ, N.Y. -- The Institute for Disaster Mental Health (IDMH) at SUNY New Paltz is leading a group of students and faculty working in San Juan, Puerto Rico, to repair and restore homes and infrastructure that were damaged by Hurricanes Irma and Maria in 2017. 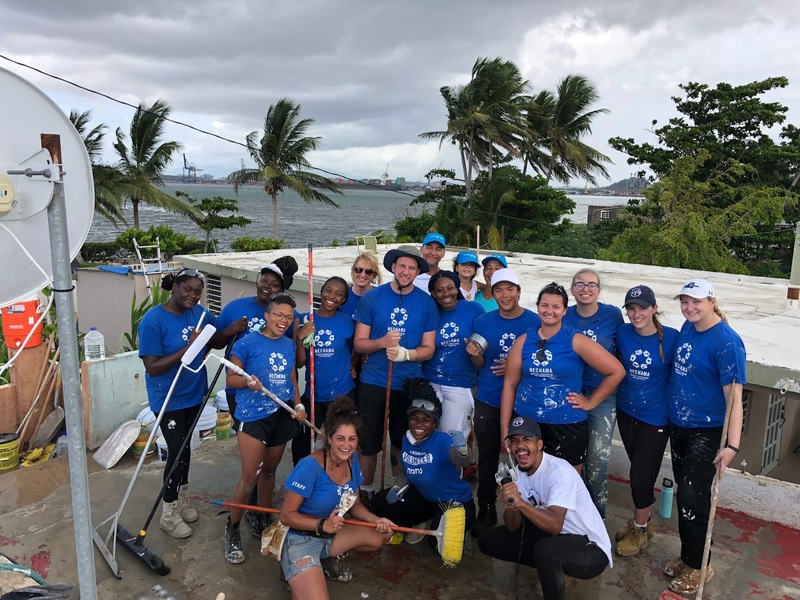 Liam Salisbury of Fairport, N.Y. is one of 14 New Paltz students who are helping rebuild in July 2018, in areas of Puerto Rico that are still living the devastation of the two massive hurricanes, nearly two years later. "This initiative is a great opportunity for students to apply and deepen their knowledge about individual and community reactions to disaster, cultural and contextual influences on reactions, disaster response and responder self-care, all while making a difference in real people's lives," said IDMH Director Amy Nitza. The trip is made through the State University of New York's participation in Governor Andrew M. Cuomo's NY Stands with Puerto Rico Recovery and Rebuilding Initiative. Governor Cuomo travelled to the island on Monday, July 23, to meet with the recovery teams. Student participants receive a stipend and an opportunity to earn three SUNY credits while making a difference in their chosen field. The group's lodging, meals and transportation are covered in part through a partnership with UNICEF USA, which provided $500,000 in funding to the overall NY Stands response. Visit the Institute for Disaster Mental Health at SUNY New Paltz online at https://www.newpaltz.edu/idmh/, and follow along with their work in Puerto Rico on Twitter @IDMH_NewPaltz. More information about the NY Stands with Puerto Rico Recovery and Rebuilding Initiative is available online. The State University of New York also supports the disaster response effort by working with campuses to ensure that students displaced by Hurricanes Irma and Maria receive the in-state tuition rate. View the resolution adopted by the SUNY Board for full details.